An interesting story caught my eye this morning about a hedge fund managers who is considering converting to the family office model, rather than face the disclosure and regulatory requirements under the Dodd-Frank Act. 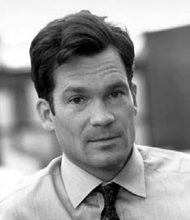 Louis Bacon Moore has faced some controversy in recent years and his fund has just had its second down year out of the last four; now, with the financial reform laws threatening to expose his fund's risk management, trading strategy and disciplinary records, Mr. Moore is leaning more and more toward transitioning from a hedge fund manager to a family office manager. If Louis Bacon Moore decides to follow through and become a family office he would still not be the most high-profile example of what could be a growing trend among hedge fund managers. George Soros made headlines when he decided to close his hedge fund to outside investors and become a family office last year. Amid the tumult, the Dodd-Frank legislation now requires Moore and other large hedge funds to register with the Securities and Exchange Commission and provide details about their risk management, trading, and disciplinary records. Bacon is loath to reveal any of it. Says a Moore official: “We are registering.” The official adds that the company will send an initial round of paperwork to the SEC in the coming days.